The Kinsley earrings are an exquisite drop of ravishing. 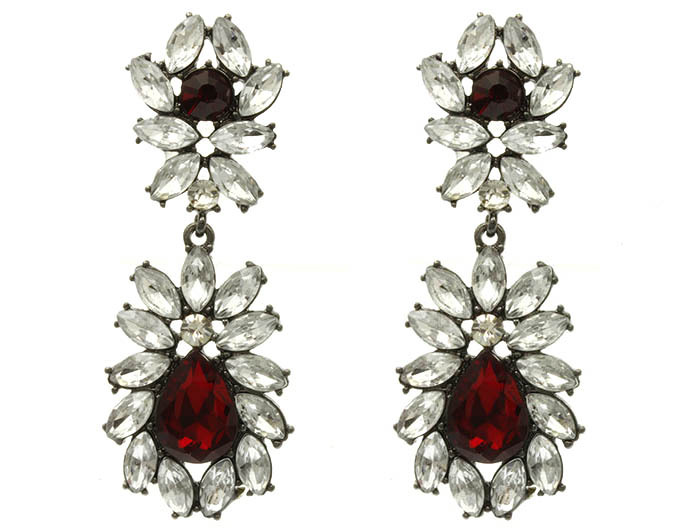 Garnet-hued crystals and brilliant clear quartz rhinestone stimulants form a drop design set on post closures. Show them off with an upswept do and something strapless. Oz Bling is fast becoming the leader of online jewellery stores Australia.